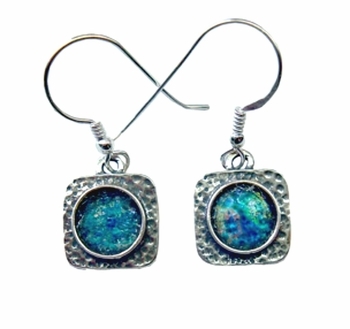 roman glass silver israeli earrings. Israeli jewellery. 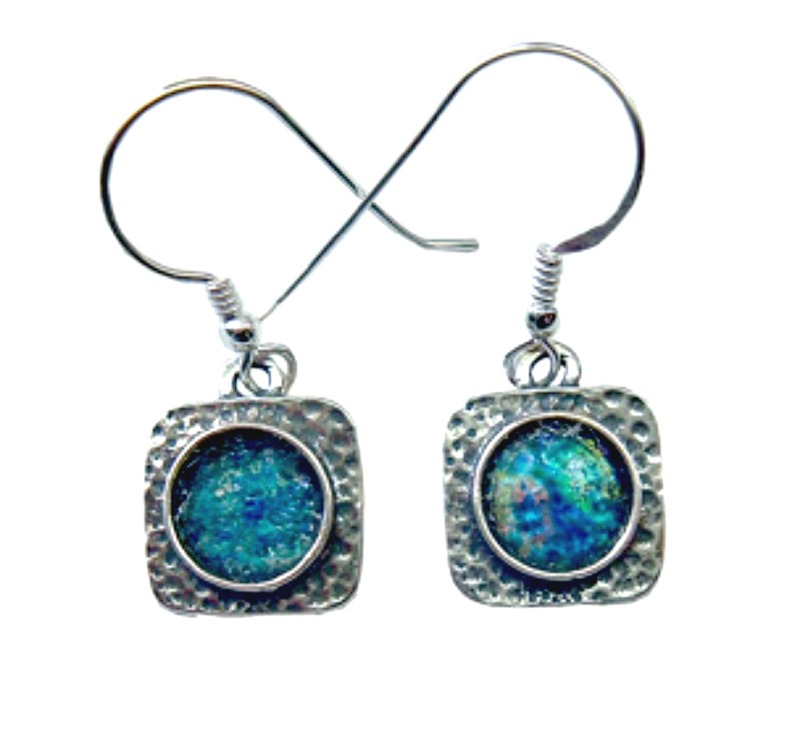 These are delicate ethnic hammered carefulyy sterling silver square earrings with Roman glass.